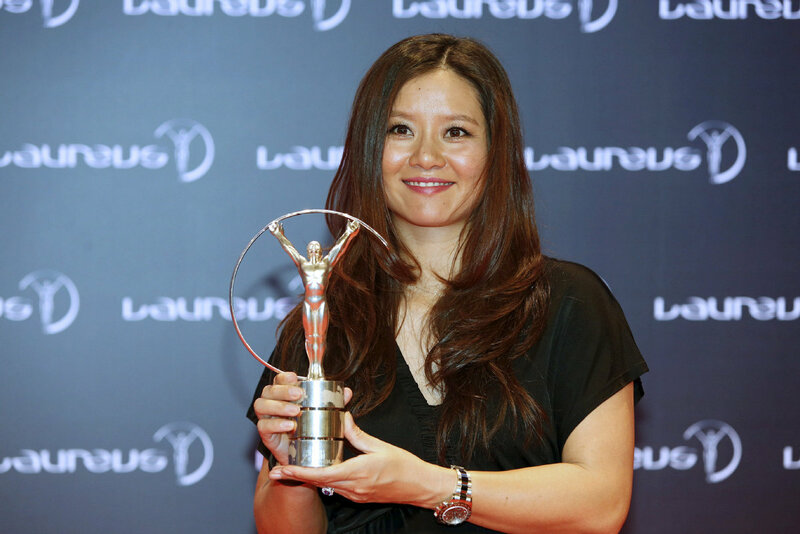 Former tennis player Li Na poses for photographs after receiving the Laureus Academy Exceptional Achievement award at the 2015 Laureus World Sports Awards in Shanghai April 15, 2015. "Tennis' history in China is still young, and it's been a privilege for me to be part of the sport becoming so popular there," said Li, who also was the Australian Open runner-up in 2011 and 2013. "I've loved to see so many young people get involved, and to see more of a presence from China on the tours. "The Hall, which is based in Newport, Rhode Island, will post the online ballot for fans on Monday; that portion of the voting will close on Oct. 7. The top three vote-getters will each get a boost to the percentage of support they receive from the main selection panel of members of the Hall of Fame, journalists and tennis historians.